Welcome to a country where the rich and the mischievous can get away with pretty much anything. 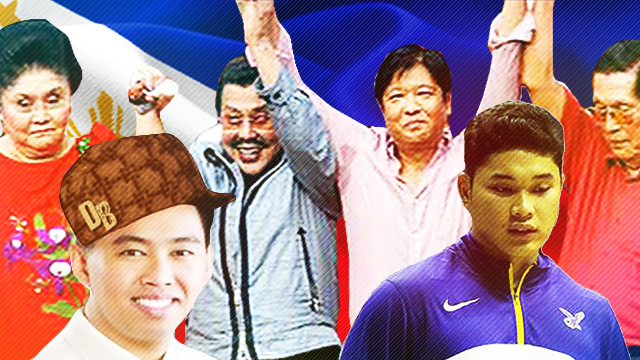 Welcome to the Philippines, where the rich and the mischievous can get away with pretty much anything. How else can you explain well-connected kids escaping a DUI arrest using a mere letter of apology? In any other country in the world, a DUI charge leads to a suspended license, an alcoholic treatment program, community service, and/or jail time. How else can you explain the thriving political careers of some of the most notorious politicians in Philippine history? In Ukraine, public officials with a bad reputation usually end up in dumpsters or in jail. How else can you explain that ridiculously overpriced Makati City Hall parking building? Did you know that for the same exact amount, you can buy yourself six islands in the Caribbean? How else can you explain our president's absence during the arrival honors of the Mamasapano clash victims? We're sure President Aquino is a very busy man, but that's not what President Obama would have done. Priorities, kind sir. How else can you explain all those hearings involving our presidents, senators, and mayors? In Japan, when a public servant's reputation gets stained, he or she immediately steps down and asks the public for forgiveness. How else can you explain the fact that the government prioritized a lengthy discourse about paperwork and formality, while the Yolanda body count rose by the minute? In time for the super typhoon's second anniversary, Atom Araullo presented the docu Daluyong, which compared the rehabilitation efforts of the Philippines and Japan. The latter has since put up a 155-millio-yen fully-furnished evacuation facility following the 2011 earthquake and tsunami. How else can you explain the fact that our country has the slowest Internet connectivity speed in Asia, despite having one of the most expensive? Singapore, for the same price, operates at 61 mbps per second. This, ladies and gentlemen, is why we should make #Eleksyon2016 count. Aren't you sick and tired of enduring stuff like this? We all deserve better! All these made us want to pack our bags and consider leaving the Philippines STAT. But we're still here, because we believe that there's light at the end of the proverbial tunnel. That and we love this country and we want to be a part of its resurgence.